On July 4th 1928, Jean Lussier a 36 year old man from Springfield, Massachusetts came to Niagara Falls. He made history by going over the falls in a rubber ball. He also accomplished a new feat by being the first person to utilize an inflated rubber craft instead of the more conventional wooden barrel. Lussier went on vacation to Niagara Falls after hearing about Charles Stephens’ death. He went to learn more about Stephens’ fatal ride over the falls in a barrel. 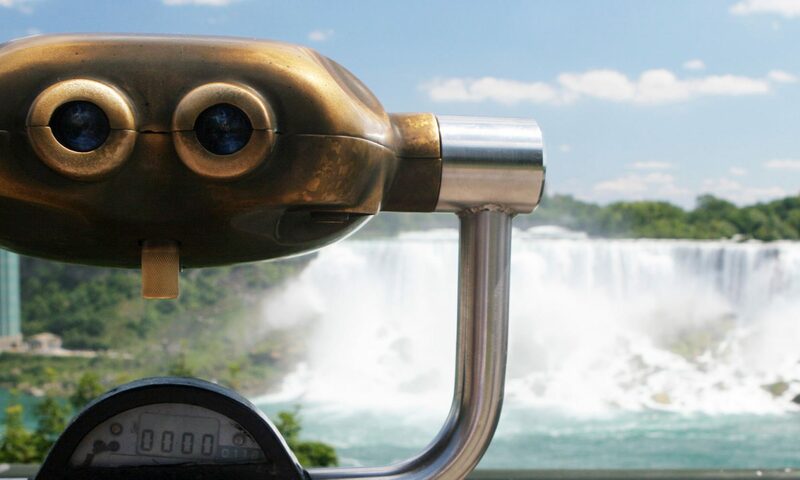 This sparked Lussier’s interest in challenging the Niagara Falls himself. With the perfect design in mind, Lussier went to Akron, Ohio where a rubber company was located who would develop his idea. His grand vision was called a rubber ball and was 182 cm in diameter with inner and outer steel bands to maintain the shape of the ball. For shock protection, the ball was lined with thirty-two inner tubes; the only empty space was in the middle for his body as well as an air cushion. The rubber ball had 150 pounds of stabilizer made of hard rubber to keep the ball from spinning head over bottom. Lussier had devised a system of valves to provide air from tanks containing enough oxygen to keep him alive for up to forty hours. This precaution was taken in case he was trapped at the base of the waterfall. On July 4th 1928, Lussier eluded police officers and rowed his ball out to the middle of the Niagara River about 3.2 km upstream of the Horseshoe Falls. The ball carrying Lussier was cut free and began its journey towards the falls. The 150 pound stabilizer was ripped out before the ball reached the brink of the falls. At 3:35 p.m., the rubber ball went over the Horseshoe Falls. During the fall three inner tubes burst causing the frame to become badly damaged. At 4:23 p.m., the rubber ball was picked up by the Maid of the Mist boat and towed back to shore. Miraculously Lussier sustained only minor bruising. In order to profit from his success, Lussier began selling off pieces of debris, from his rubber ball, to tourists. When he sold out Lussier began selling pieces of rubber that he purchased from a nearby tire store. In 1952, at the age of 61, Lussier had a dream of being the only person to ever go over the American Falls as well as the Horseshoe Falls. Lussier began making plans for another ball device twice as big as the rubber one he had used over the Horseshoe Falls. This ball would be 365 cm in diameter and weigh 550 pounds with him included. The ball would have three layers, made of cork, aluminum and rubber, with a series of braces. The inner ball would be mounted on roller bearings in order to stay upright at all times. In addition it would have a forty-eight hour air supply and a radio system. The dream ended in 1958 when Jean Lussier retired at the age of 67.